I wanted to share with you these pretty Laduree Macarons my dad brought me back from his recent trip. He was traveling to Africa again and had a layover in Paris. I told them that they now have a kiosk in the airport and he kindly obliged and waited the thirty minutes in line to hand select these beauties, isn't that sweet! Thanks Dad. Tip for the travelers, if you are ever flying through Charles de Gaulle, you now have the option of picking up these tasty lil' things in terminal 2F, the packaging is also what gets me, gorgeous! What a great dad, and a lucky you! My 2 year old daughter asks daily to watch the Laduree wesite, where the macaroons bounce around. She calls them the dancing macaroons. She'd love them even more if she tasted them I'm sure! Enjoy. Those truly are the most divine creation! There is a fabulous tea house in Vancouver that flys them in daily from France. I have to limit my visits. You are completely right! It is ALL about packaging! I bought their candles, yes, candles in Paris because I LOVED how they were packaged! Laduree...a beautiful place I can go to over and over never be tired of! Macarons NOT macaroons! Louis-Ernest Ladurée would be turning in his grave. Thanks anonymous-- whoops! That is what a late night with a newborn and sleep deprivation will do to me -- typos. Thanks for your correction, I really appreciate it!! oh my gosh these look soo delicious! i wish i could bake such perfect macarons! 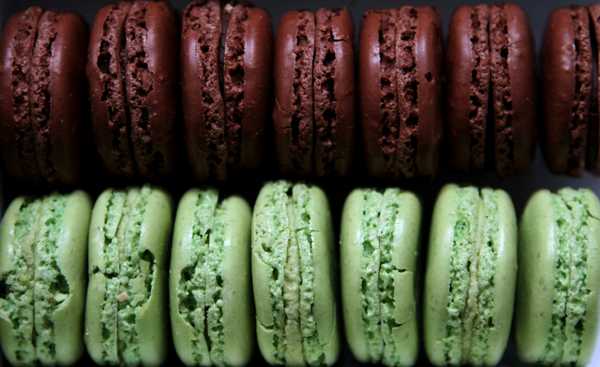 Oh boy -- I could live on those macarons. Cassis is my favorite flavor! 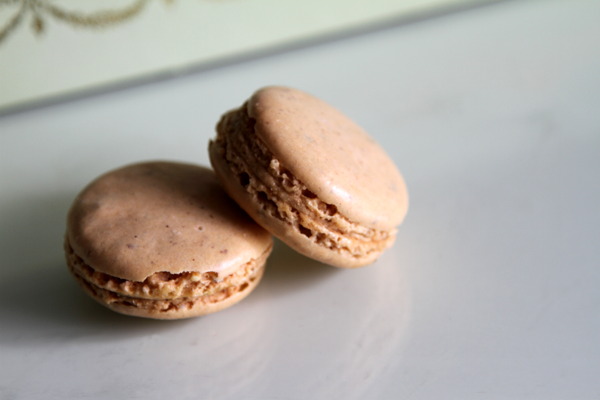 Still waiting until I have a Paris trip to try my first macaroon. I'm actually in love with just the box! what a wonderful dad,lucky you indeed! What a lucky girl you are! I love the mocha and raspberry ones! Lauduree also makes the BEST pain au chocolat. Makes my mouth water just thinking about it! They sell macarons here in Copenhagen but they are just not the same. awesome! i am going to keep that in mind! I would marry Laduree macarons. Really, I would. Lucky you! They are so singularly scrumptious! YOU have a great dad! Miam! La Duree is the best. And wouldn't you even buy them for the beautiful packaging?! Oh, how fun! What a nice dad to bring you back such a coveted present. 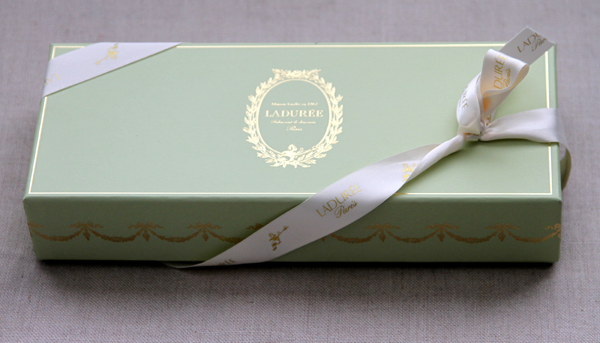 I'm dying to have one from Laduree!! So nice of your dad! I did the same last time I was in Paris for business and bought me and my colleagues a nice little assortment. Loved it!